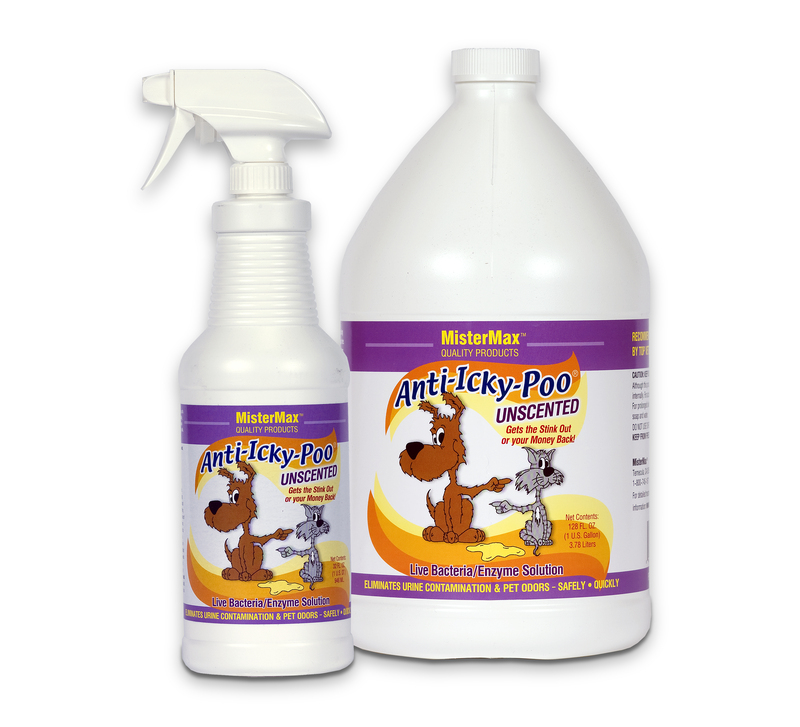 Introduced in 1989, Anti-Icky-Poo Unscented is the USA’s most highly recommended product in its category by veterinarians and other animal care professionals. Anti-Icky-Poo Unscented uses a combination of enzymes and live bacteria that literally consume most types of decaying organic materials including urine, feces, vomit, sweat, skunk musk and dead animal smells. It works safely and effectively on carpet, wood, tile, plastic, fabric, dry wall, cement and almost any other surface material. An innovative tool used to inject Anti-Icky-Poo between the pad and under the rug, as well as under the carpet and above the pad, the Carpet Injection tool will access the sources of contamination that you can smell, but cannot readily access. If you are treating an entire large room, we recommend making a grid with masking tape and applying 1 Cc of Anti-Icky-Poo per square inch of contaminated surface area. You can also safely use the carpet injection tool to safely inject anti-Icky-Poo into upholstered furniture and non-leather furniture. See Carpet Injector for more information and directions regarding this highly effective odor removal tool. Safely spray the Anti-Icky-Poo or Anti-Icky-Poo Unscented on carpet or then relax knowing that your odor problem will be quickly abated. For best results, do multiple spayings over 1 - 2 days and keep the Anti-Icky-Poo bacteria growing and multiplying and looking for those organic contaminants, which are the food source of the Anti-Icky-Poo bacteria. Use a clean funnel or pour carefully pour the contents of your refill gallon into your spray quart bottle. This way you will always have a supply of Anti-Icky-Poo ready for those “emergencies”, accidents and other odor problems, suh as your residential garbage cans, stinky shoes, soled milk stains. ANTI-ICKY POO STARTER KITS ARE ALWATS SHIPPED FOR FREE IN THE 48 STATES. Save more than $20 from purchasing separately. For those who may be fragrance intolerant, Anti-Icky-Poo Unscented is the same as the original Anti-Icky-Poo but without the slight perfume fragrance in the original Anti-Icky-Poo. Both products performs equally, removing cat odors dog odors, urine or any decaying organic material. Use on skunk musk, diaper pails, moldy closets and just about anything else.